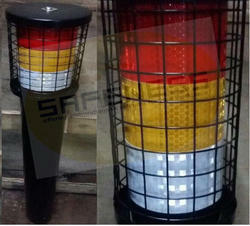 We are one of the leading names in the list of big manufacturers and supplier of Road Safety Products. 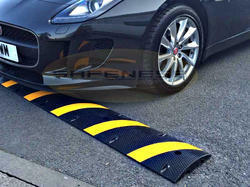 Our firm is specialist in the manufacture of speed humps, made from modified thermoplastic. Offering you a complete choice of products which include speed retarders, speed bumps, speed humps, plastic speed breakers and plastic speed bumps. 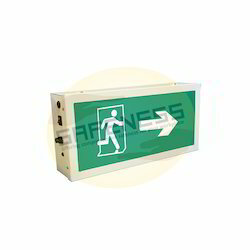 Leading Wholesale Trader of autoglow signages, mandatory safety signs, prohibition safety signs, fire safety signs and first aid safety signs from Mumbai. Pioneers in the industry, we offer gymnasium mats, mop wringer trolley, four wheeled dustbin, two wheeled dustbin and stainless steel dustbin from India. 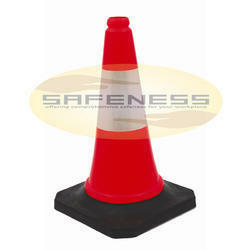 There are various barriers, barricades, cones, delineators, fencing and more available for all different applications. 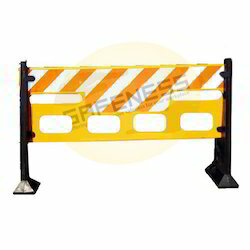 Barriers are perfect for blocking specific areas from pedestrians or workers. Barricades are similar to barriers and are great for blocking certain areas.You can also string barricade tape across a space to prevent foot traffic. Fencing can be stretched around a larger portion of your property to prevent unwanted intruders. Our Road Studs are reflective which provides effective night guidance even under the most adverse weather conditions thus giving protection to drivers & pedestrians and to ensure smooth flow of traffic. 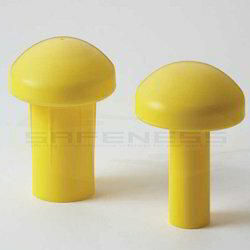 This road safety devices are made from high grade rigid ABS Plastic which enables the studs to bear severe impacts. 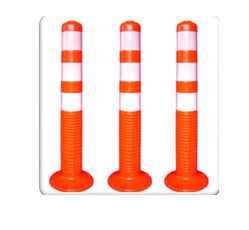 Traffic Cones are placed on roads or footpaths to temporarily redirect traffic in a safe manner thus avoiding risks of accidents.The road safety cones are coloured in orange and white stripes of radium stickers to give complete and clear vision to the drivers from a long distance. 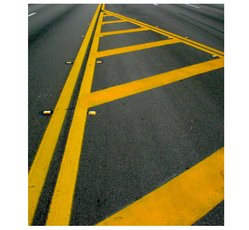 They are often used to create separation or merge lanes during road construction projects or automobile accidents.They are available in different heights according to area of use. 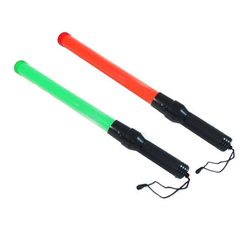 Light Batons are ideally used by police, owing to the white color reflective sheet in it, easily readable and eye-catching. 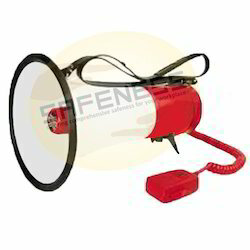 This range is available in various sizes and designs as it is applicable for traffic control, emergency signaling, security purpose and police department. This traffic safety baton is perfect for police, firefighters, parking valets, airport runway, traffic and other public safety applications. 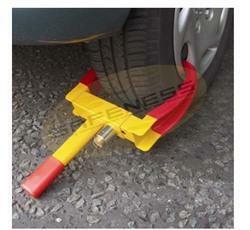 Wheel chocks are wedges of sturdy material placed closely against a vehicle's wheels to prevent accidental movement. They are placed for safety in addition to setting the brakes. 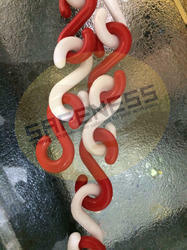 The bottom surface is coated in rubber to enhance grip with the ground. For ease of removal, a rope may be tied to the chock or a set of two chocks. 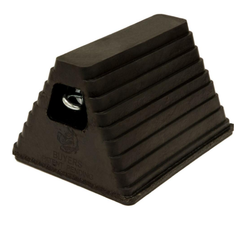 One edge of the wedge has a concave profile to contour to the wheel and increase the force necessary to overrun the chock. 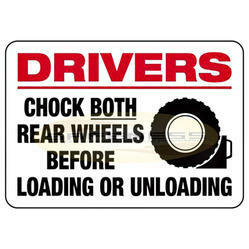 To use wheel chocks, they must be selected to match the size of the tires on the vehicle, and used in pairs. 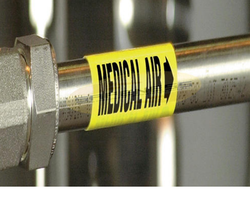 Most commonly, chocks are seen on aircraft, trains, trucks and cars. 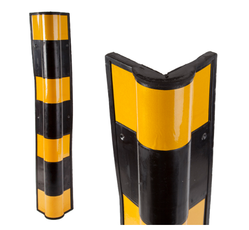 Road Delineators are used for traffic control on the sensitive areas thus giving protection to motorists, pedestrians and workers. 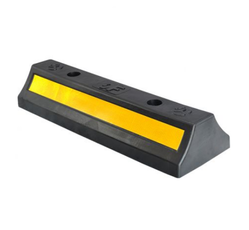 Road Delineators with high visibility reflectors are ideally used on dangerous curves, central verge to facilitate visibility in times of poor light conditions thus reducing risks of road accidents. Solar Blinkers run on solar energy & requires no electricity. 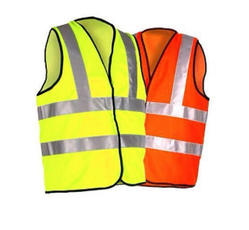 It provides High Visibility on Foggy & Rainy Days. 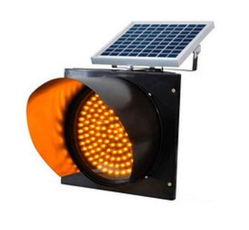 It is used to improve road safety and prevents accidents on road by way of warning signalling. It is also heat & water resistant. It is used at Flyover, Crossover, Road Median. 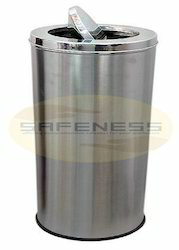 Wholesale Trader of a wide range of products which include round rebar cap. 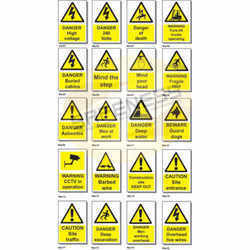 Wholesale Trader of a wide range of products which include warning safety signs, informatory safety signs, electrical safety signs, chemical safety signs and school safety signs. Under Vehicle Search Mirrors are used for conducting visual inspections of a vehicle’s exterior to locate hidden explosives or suspected objects. It can be used to inspect beneath and also above the car. 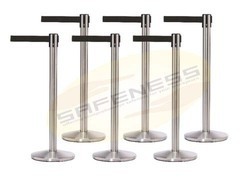 This vehicle check security system is commonly used for Border Patrol Prisons, Corporate and Government Security Checkpoints, Hospitals, Schools, Theaters, Malls, Roofing/Construction Automotive Industry, VIP Security and Transportation Industry. 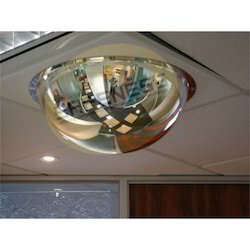 Dome Mirrors are for safety to eliminate blind spots in traffic areas or parking lots to minimize the risk of accidents. They prevent collisions at corners, intersections and aisles. 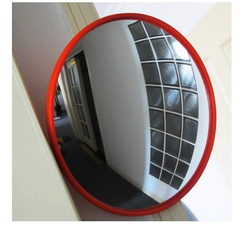 Dome Mirrors are hanged on the ceilings for better visibility of the vehicles / fork lifts coming from different directions. 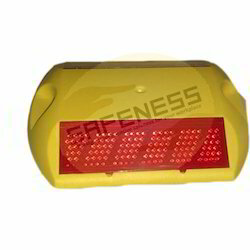 These road safety devices are manufactured using high quality acrylic lens. 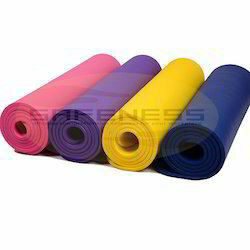 They are used indoor or outdoor. They are lightweight and easy to install. Prominent & Leading Wholesale Trader from Mumbai, we offer modular wall frame signs, modular projecting signs, modular table stand signs, modular suspended signs and modular double sided pylon signs. 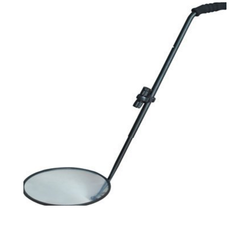 Leading Wholesale Trader of mega phone, loud hailer, single zone door frame metal detector, multi zone door frame metal detector and hand held metal detector from Mumbai. 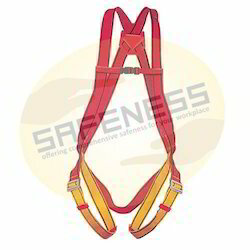 Pioneers in the industry, we offer full body safety belt, shock absorbing webbing lanyards, shock absorbing rope lanyards, rope ladder with wooden rags and rope ladder with aluminum rags from India. Safety Shoes becomes necessity while working in industrial workplaces to avoid accidents and hazards. 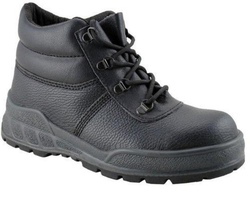 These industrial safety shoes are designed to fit well look good and get the best performance for the job. 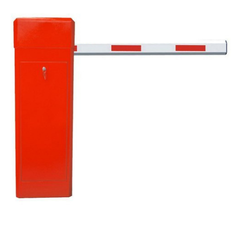 Offering you a complete choice of products which include plastic link chain, retractable traffic cone topper, plastic hooks, cone connecting rod and cone message plate. 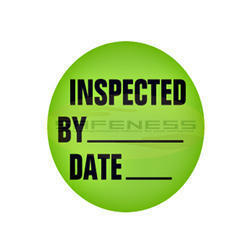 Our range of products include inventory inspection labels, quality control inspected color coded qc labels, numbered inventory labels, fluorescent warehouse & pallet labels and inventory status tag. We are a leading Wholesale Trader of swing steel dustbin, emergency stop button arrow labels, colored magnetic strips, shadow board tool tape and aluminum cylinder storage from Mumbai, India. Providing you the best range of 2-channel striped cable protectors, 3-channel cable protectors, machine guards, half-round bumper guard and top load only package handling label with effective & timely delivery. 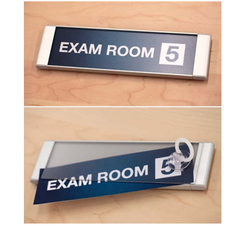 Prominent & Leading Wholesale Trader from Mumbai, we offer custom medical gas duromark pipe markers, normally open valve tags, write-on tie tags, write-on jumbo tie tags and heavy duty rectangular plastic tags. 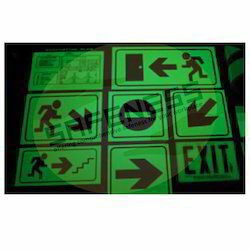 Pioneers in the industry, we offer osha-1 danger signs, osha-2 caution sign, osha-3 safety first sign, osha-4 notice sign and osha-6 think sign from India. Wholesale Trader of a wide range of products which include drivers chock wheels before loading sign, speed limit 15 sign, stop rail sign, caution watch your step slipping & tripping signs and shipping and receiving signs.